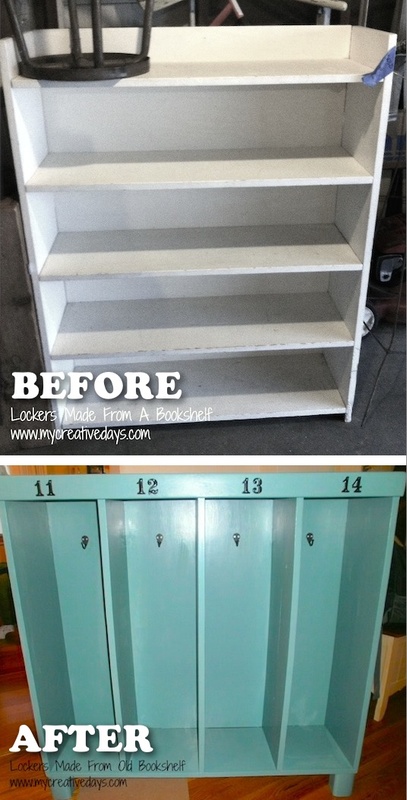 This bookshelf makeover would make for a fabulous addition to an entry-way or mud room! It gives the kids a place to hang their backpack and store their coat, shoes, umbrella, etc. I would even add a few baskets on top for extra storage. Although I found this project over at My Creative Days, the tutorial appears to be gone. It does seem pretty self explanatory, though. I like this shelf idea for a small entrance where you can set your phone and keys; maybe even add a hook or two on the bottom to hang a purse or umbrella! 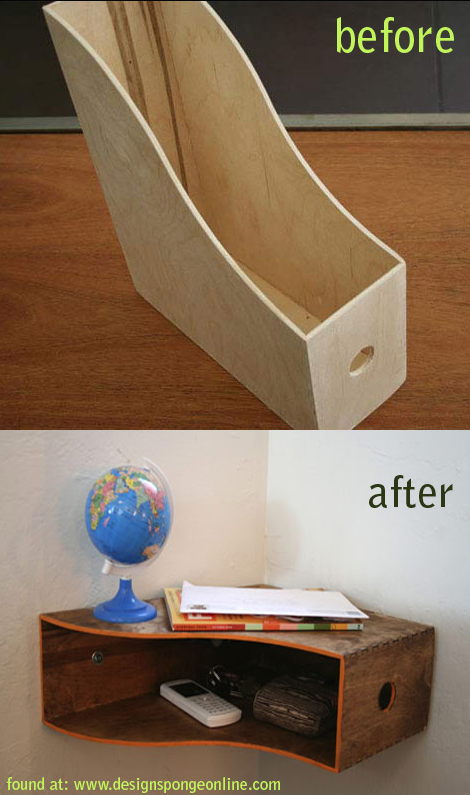 Or, if you don’t have room for a nightstand, this is a doable alternative. By simply turning one of these bookshelves to the side, it creates a unique piece of furniture! You would need to have the right space for it, but this would be a nice addition for extra storage and organization. I really like the chalkboard paint idea for writing notes or keeping a calendar! Go get the details and instructions here. The shelving units that were used for this particular project are no longer available but you can buy similar shelving units from Ikea here.